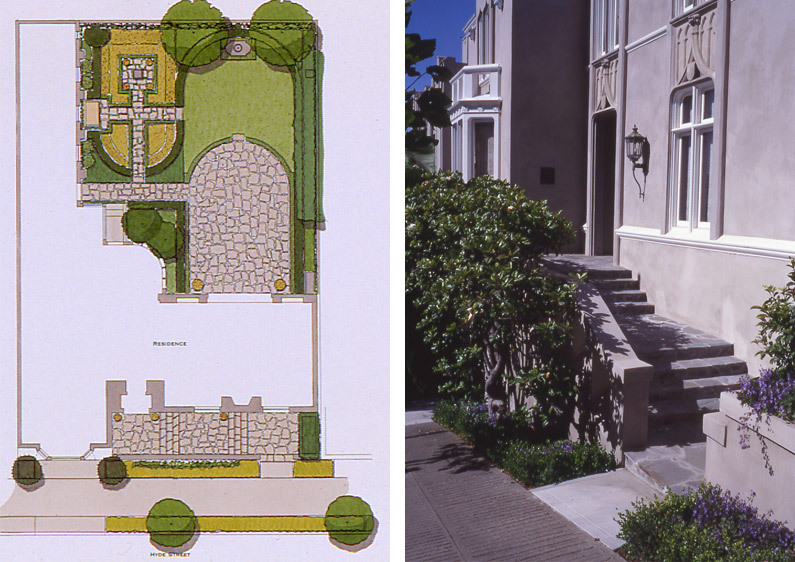 The garden for this house was originally designed in 1937 by Lockwood de Forest, a noted landscape architect who practiced in California during the first half of the 20th century. The original drawings, which are in the UC Berkeley College of Environmental Design collection, served as the foundation for the redesign work. 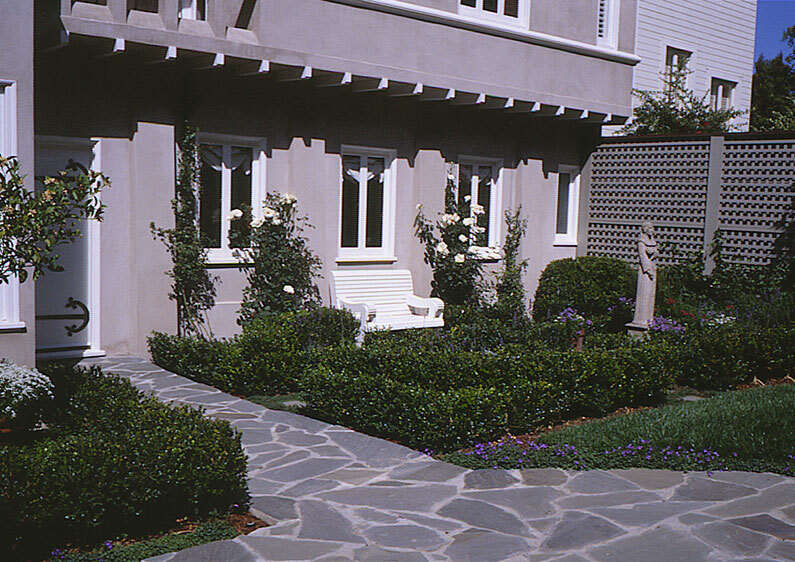 New walls were constructed to enclose the garden and the outdoor terrace and paths were repaved with the same flagstone originally used at the front entry to the house. The garden furniture, including a fountain, two statues, and a custom designed wood bench, were incorporated into the garden as per de Forest’s plans. The garden was replanted with boxwood hedges, ferns, roses, wisteria, and flowering herbs.